Trailer axle measures 89" from hub face to hub face and 74" from spring center to spring center. Includes electric brake assemblies, hubs, drums, bearings, races, seals, and mounting hardware. EZ-Lube spindles for simple lubrication. 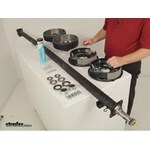 Lowest Prices for the best trailer axles from Dexter Axle. 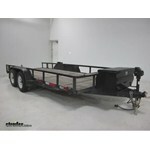 Dexter Trailer Axle w/ Electric Brakes - EZ-Lube - 5 on 4-1/2 Bolt Pattern - 89" - 3,500 lbs part number 35545E-ST-EZ-89 can be ordered online at etrailer.com or call 800-298-8924 for expert service. 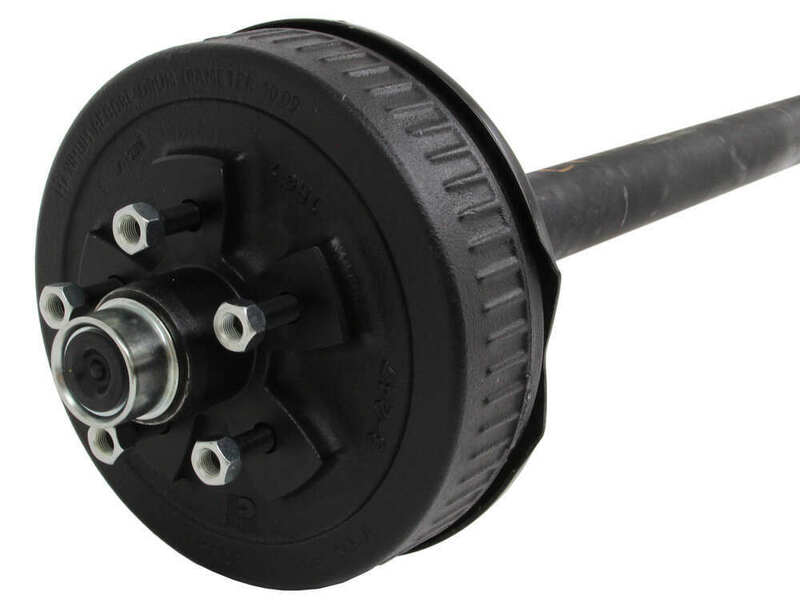 Wheel size: 13" - 15"
There are multiple ways to measure the length of an axle beam, but the hub-face-to-hub-face and spring-center-to-spring-center lengths are the most accurate. Hub face (A) refers to the length of the axle measured from the base of one wheel stud to the base of the wheel stud on the opposite side of the axle (when hubs are mounted on the beam). 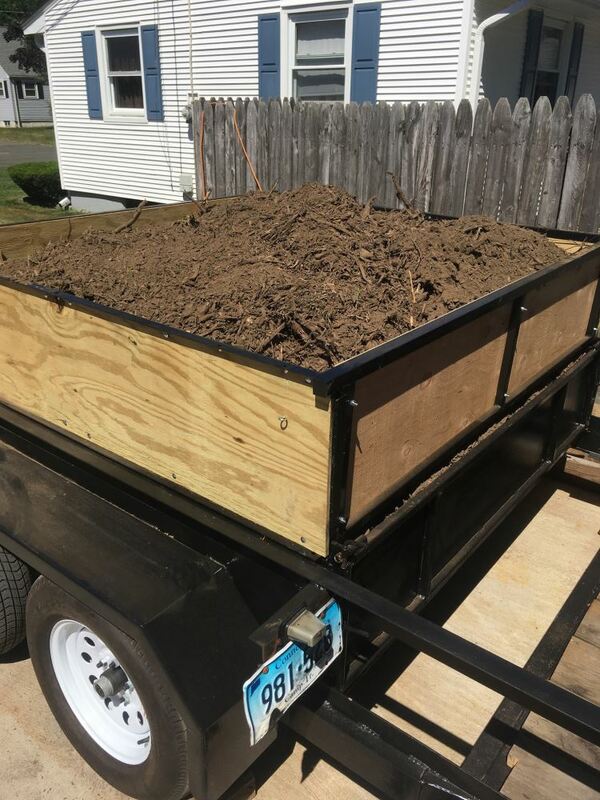 The spring center (B) is the approximate width of your trailer. It is measured from the center of the spring seat on one side of the axle to the center of the seat on the other. This axle beam comes with the spring seats welded on. Another helpful measurement to have is the flange-to-flange (C) length, which is measured from the outside of one brake flange to the outside of the one opposite. This length may be easy to obtain if you are replacing an axle, but it's important to note that this measurement is not the preferred method for determining which axle will best fit your trailer. 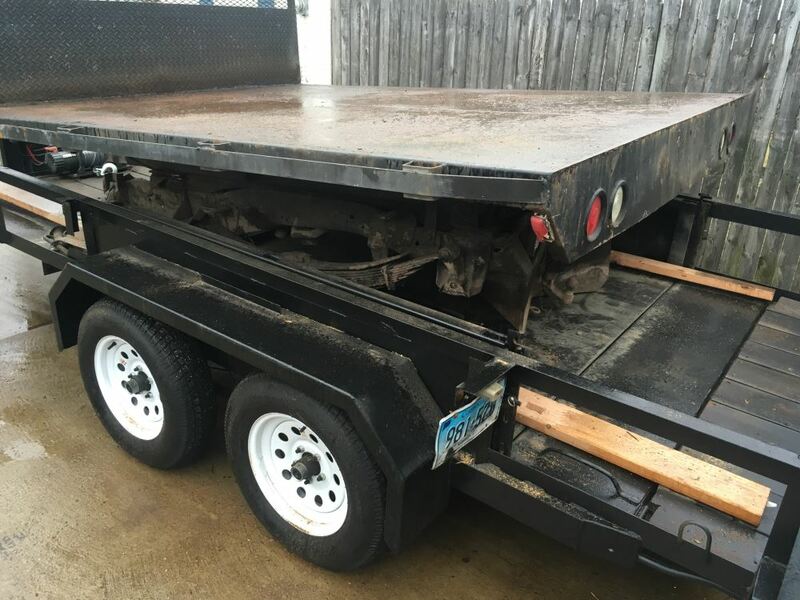 If you are replacing your trailer's axle, you should be able to figure out which type you need by determining your trailer's capacity, the bolt pattern of your wheels, the brake type and the aforementioned lengths. Dexter axles are made of high-strength steel and come with spindles and spring seats welded on. The spring seats are attached to the underside of the axle so that the leaf springs (sold separately) can mount beneath the axle. 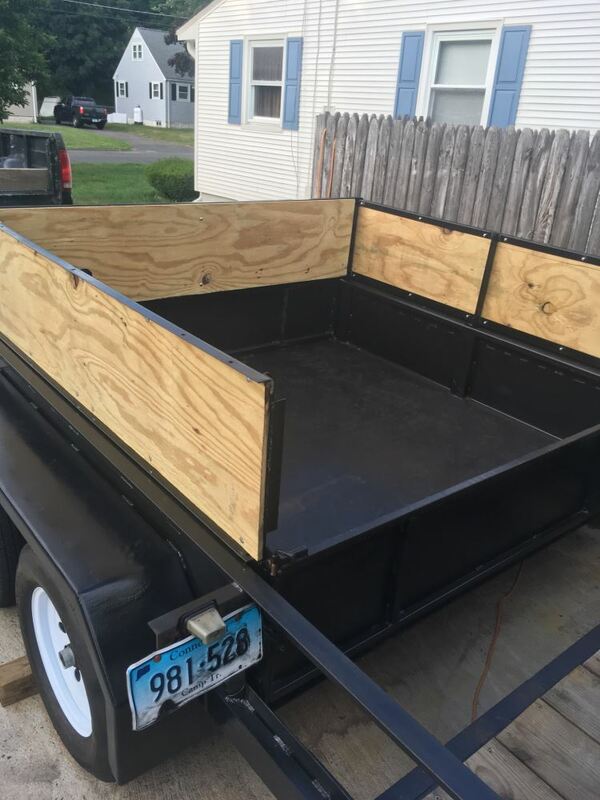 The result of this underslung design is a trailer that rides a bit lower for quick and easy loading and unloading. Each axle is manufactured to create a certain camber angle. This ensures that the angle of the wheels is correct for your towing needs. 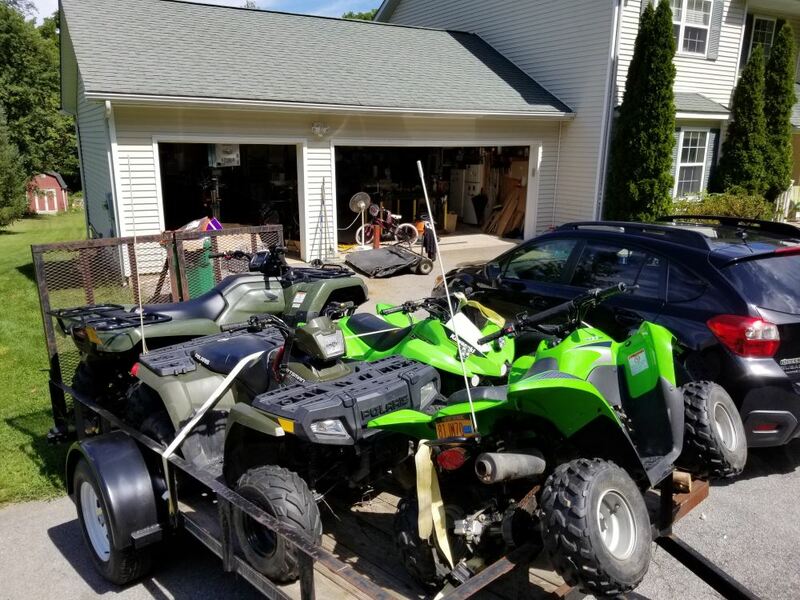 Because the primary concern when towing is maintaining controlled, in-line movement, each axle is made so that your trailer's tires will run along the pavement evenly, with contact across the width of the tread. The result is excellent straight-line acceleration for steady, in-line tracking. You might notice the bend near the center of the axle; this is what ensures the proper camber angle. Having the center ride a bit higher and the sides of the axle bent lower allows the axle to give just enough to compensate for the load. Trailer axle beam measures 89" from hub face to hub face (when hubs - sold separately - are mounted) and 74" from spring center to spring center. Straight idler trailer axle measures 60" from hub face to hub face and 48" from spring center to spring center. Includes idler hubs -with bearings, races, and seals- for 13" to 15" wheels. EZ-Lube spindles for simple lubrication. Trailer axle measures 89" from hub face to hub face and 74" from spring center to spring center. 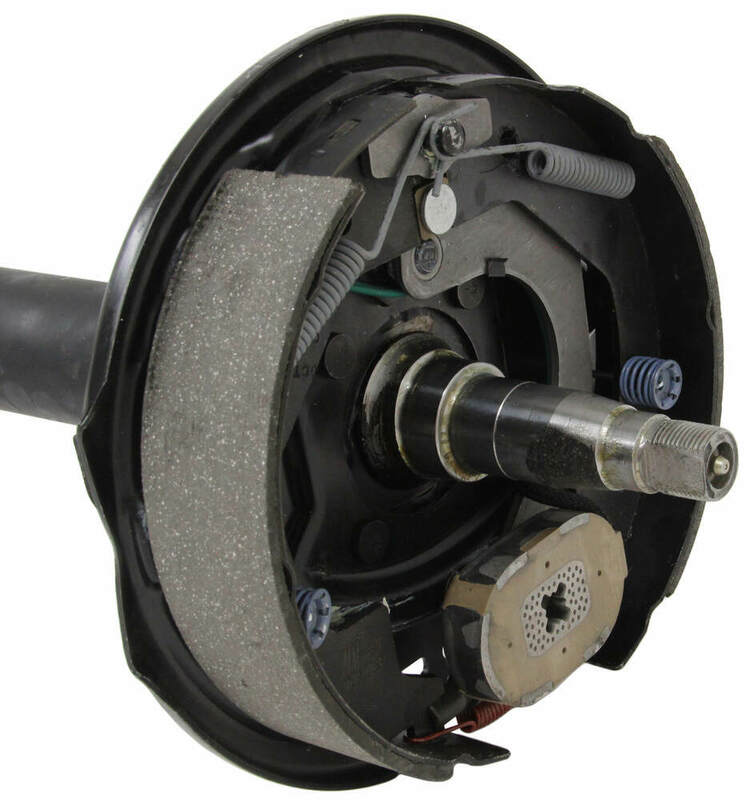 Includes complete electric brake assemblies, hubs, drums, bearings, races, seals, and mounting hardware. Today we're going to review Part #35545E-ST-EZ-89. This is the Dexter Trailer Axle with the straight EZ-Lube spindles, the electric brakes and the 5 on 4 and a 1/2 inch hub and drums. The axle itself is 89 inches long and has a 3500 pound weight capacity. 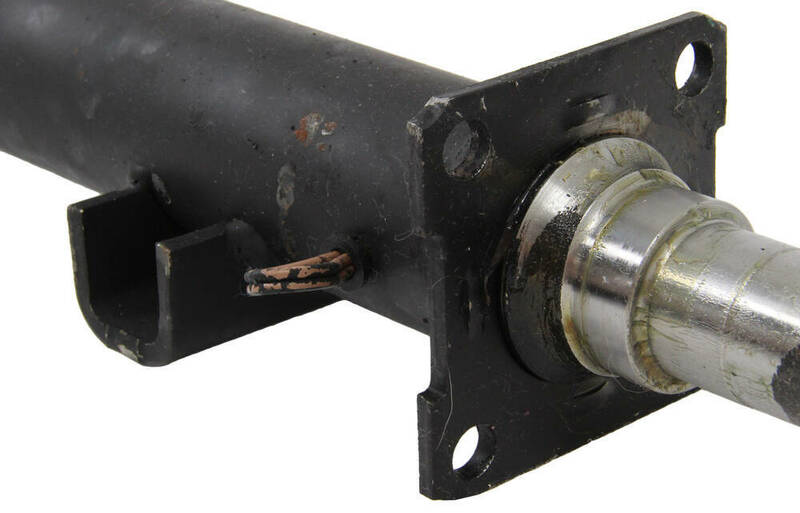 This axle beam will act as part of your trailers suspension system. You can use this to replace an axle on your trailer or to fabricate a suspension to fit your application. It comes with the spindle nut, the D-ring washer and the nut retainer. It's made of a high strength steel construction. It does have the straight EZ-Lube spindles, there's no drop to it. 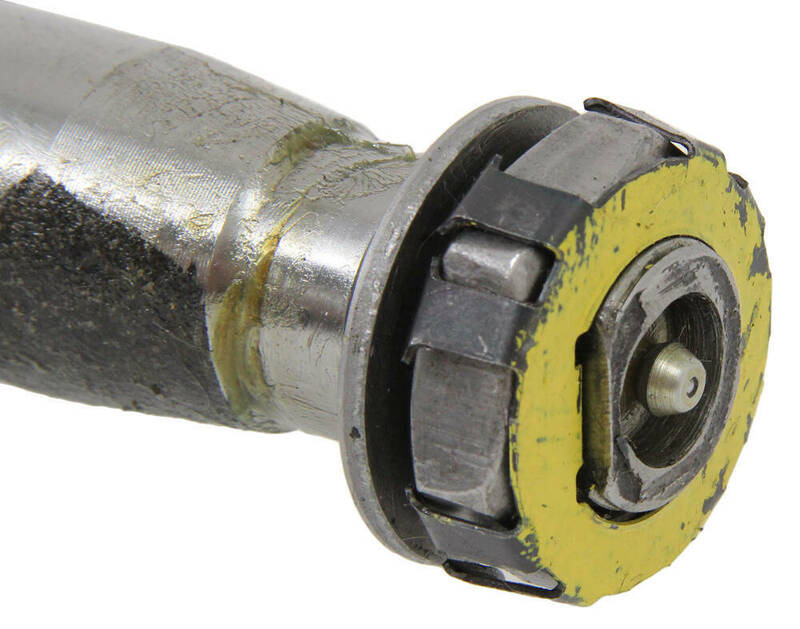 On an EZ-Lube spindle, it does have the built-in grease Zerk fitting on the very end. That's where you would lubricate your bearings so you don't have to remove the whole hub and drum. You can just lube it from right there. This part number does include everything shown here. 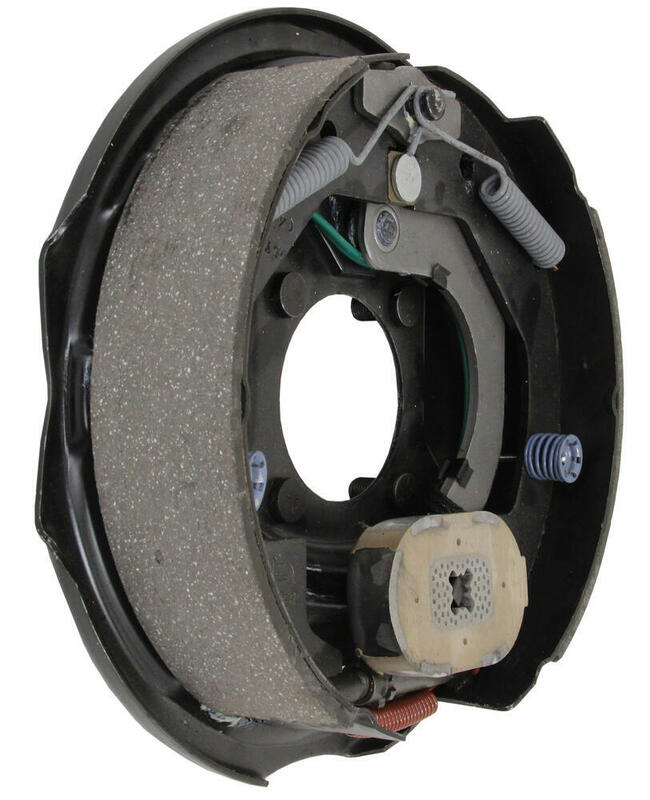 It includes the electric brake assemblies, both the left side and the right side. It includes the hub and drums and the mounting hardware which are these washers and these nuts. That is used to hold the brake assemblies to these mounting flanges. It also will include the bearings, the outer bearings, the inner bearings, the races will be included and they are actually pre-installed in the hub and drums. You can see right there, they're already installed. It will come with the grease seals. It comes with the EZ-Lube grease caps. The EZ-Lube grease caps, again, the reason they're EZ-Lube, it's nice, they have a rubber plug that you can pop out to access that Zerk fitting on an EZ-Lube spindle. It will come with the ten 1/2 inch lug nuts. Also we include a 2 by 14 ounce tube of marine grade bearing grease that you would need to install with just a grease gun that would hold 14 ounce tubes. If you have one at home, you can use that, if you don't, we also sell that separately. We offer this one, it's a related part on the product page. It's Part #L30200, a grease gun. Basically on the axle itself, all axles will have a bend in the middle. They actually will bend upwards. This will create a zero camber angle for even road to tread contact across the width of your trailers tires. Having the center riding a bit higher and the sides are lower allows this axle, when a load is put on it, it will compensate enough to give this straight across and have your tires road to tread contact all the way across the tire. This will give you excellent straight line acceleration and steady inline tracking. This axle, the spring seats which are right here, they're well lit underneath the underside of the axle. This is an underslung design and that means that they're well lit to the underside. This will give you a low ride height which makes it easier to load and unload your trailer. The spring seats and the spindles are all welded onto the axle. It also has the four bolt brake mounting flanges you can see that your electric brakes would bolt to. It also has a wiring loop there and one on that end. Basically, that's to hook up your electric brakes too. Comes with that in the axle itself. On the axle there are multiple ways to measure the length of an axle beam, but the hub face to hub face and spring center to spring center lengths are your most accurate measurements. The hub face would be, once these assemblies are all installed on there, you would measure the hub face length. You would measure from, right here, which is the base of the wheel stud, once this is installed. From the base of the wheel stud on this side to the base of the wheel stud on the other side. After these hub assemblies are all installed, if you measured that on this axle it would give you a hub face to hub face length, since they're not on there, I'm just going to give you an idea, it's going to be right at 89 inches. That's why this is considered an 89 inch axle. The spring center to spring center would be right here where the spring mounts are. If you measured from the center of this one to the center of the one on the other end. We'll try to do that to give you an idea, center to center. It's going to be 74 inches spring center to spring center length. Basically, when you're going to replace your trailers axle, you should be able to figure out which axle you need by determining the trailers capacity, match it up to the correct axle capacity. The bolt pattern of your wheels, the brake type and then these lengths I mentioned, the hub face to hub face and spring center to spring center. Just to mention again, the weight capacity on this is 3500 pounds. The hub face to hub face length I measured was 89 inches. Spring center to spring center length was 74 inches. The hub bolt pattern on these hub and drums is 5 on 4 and a 1/2 inches. The diameter of the tubing here, the outer diameter is 2 and 3/8 inches. The spindle size diameter is 1 and 1/16 inches. The wheel stud diameter on the studs here is a 1/2 inch, that's why we include the 1/2 inch lug nuts. And this we'll use anywhere as a wheel size from 13 inches wheels all the way up to 17 and a 1/2 inch wheels. 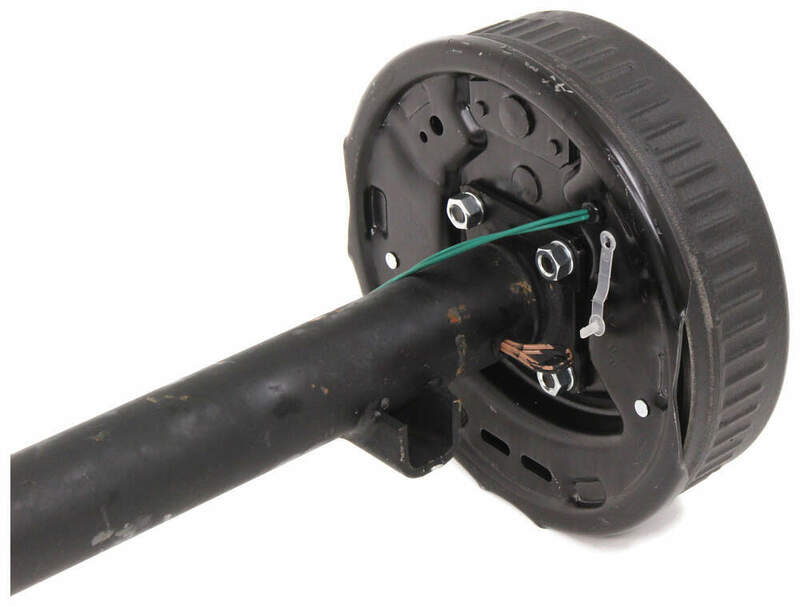 That should do it for the review on Part #35545E-ST-EZ-89, the Dexter Trailer Axle with the straight EZ-Lube spindles and the electric brakes. .
Order: RelevanceNewestRating - High to LowRating - Low to High Trailer axle measures 89" from hub face to hub face and 74" from spring center to spring center. 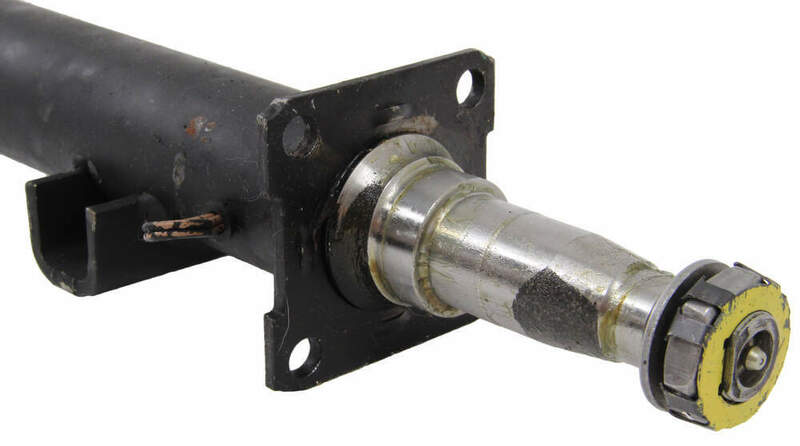 Includes electric brake assemblies, hubs, drums, bearings, races, seals, and mounting hardware. EZ-Lube spindles for simple lubrication. We do not bill this axle as being a Torflex axle. 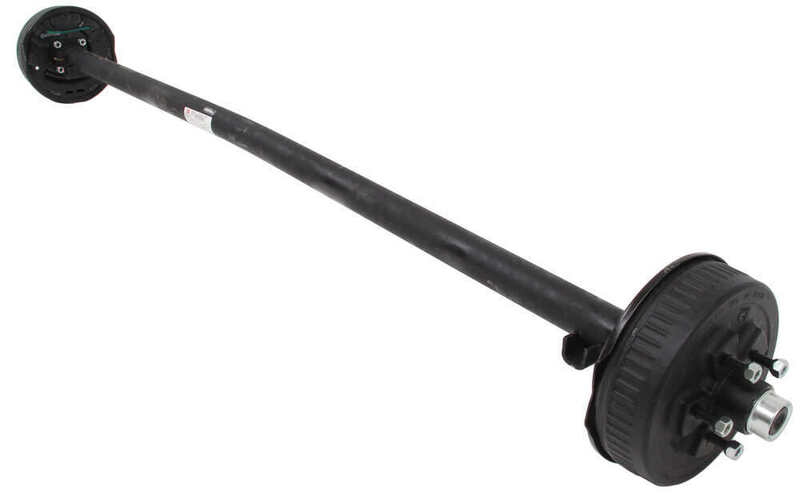 This axle is for a standard leaf spring suspension. 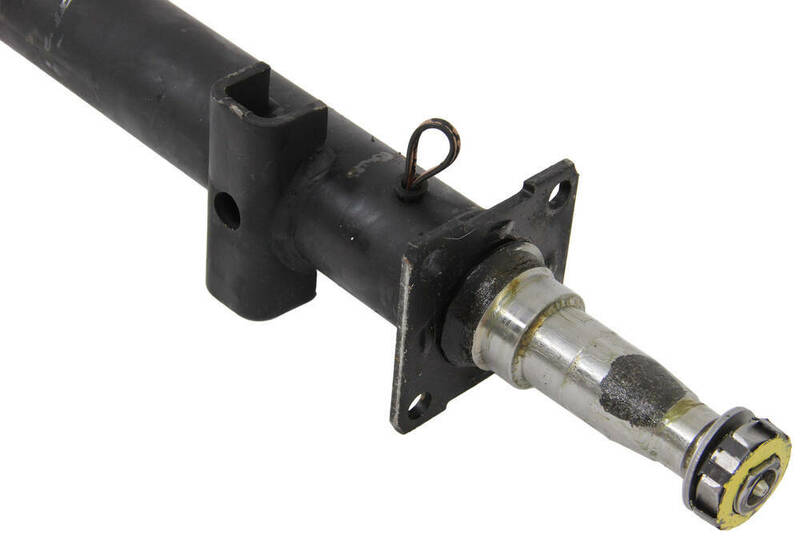 Do you have a question about this Trailer Axle? Highest quality trailer axles for the best price. 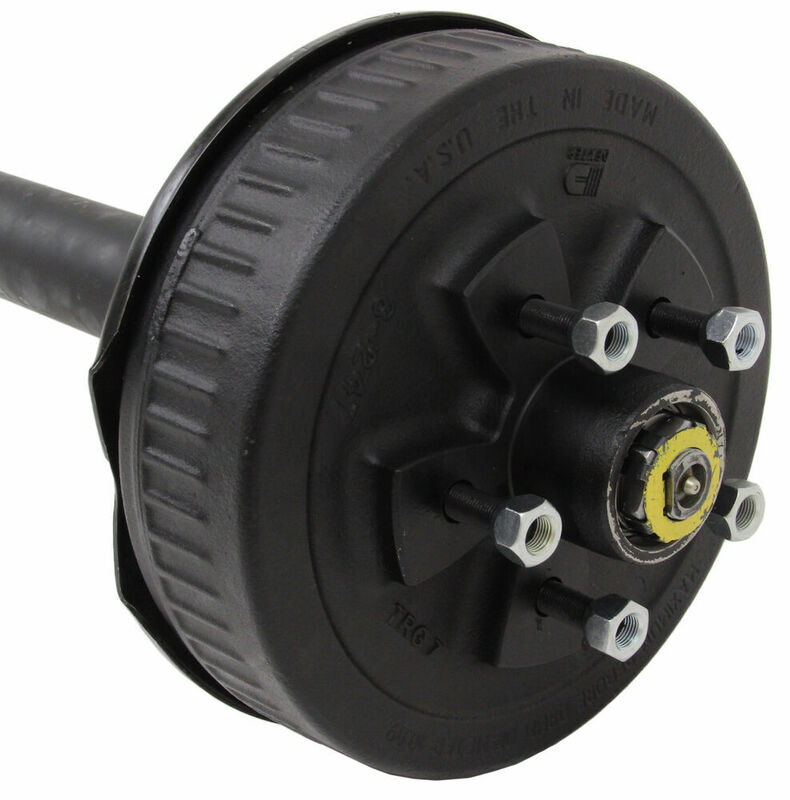 Most detailed, accurate trailer axle information available.